Both ECRL & PTMP will benefit Malaysian. Who wants ECRL in the first place? We are forced to swallow that white elephant. By the way, good job CM Chow, Bravo! @yuri...you brought tower A or B? anyone from Tower B collected key already? How many floors of car parks it got? Thanks. @MC MC, yours is public unit or affordable unit? @MC Do you mind to send us your public bank banker name? I took PBB. Interest rate 4.4% MRTA about 9k plus. How much MRTA for you guys? @SH Maybank offer 4.45. which bank you consider to take? @SH 4.45 for Maybank. You took RHB? @JJ What is the interest rate offered by Maybank? @meowmeow How to get a rejection letter without knowing the purchase unit price? Why still want to support this kind of con man developer ? I presume mostly flippers, speculators, no real house buyers for staying there. . Yes, but most of us already went into the chickens cage Its a havoc... Any idea where can we report to? what is the progress now? don't think it is cheap, under affordable already 400k. wondering 400k affordable house is under government list? anyone already get the government approval? Hi there, may I know more details regarding the LMC. Thank you. Hi nova, When are you gonna launch this project? Hi, Anyone looking for Block C 2bedroom+2bathroom? I am releasing my unit. 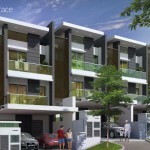 wei : im looking to buy a unit in blk C, is there any block C unit for sale ? @wei Budget? @Macha Yeah, agree with you. Heard that some of them are holding rich estates and valuable properties inside the heritage site. Dear admin, pls. add me in WhatsApp groups. I'm also one foresta purchase block C.
Hi Wei707, can add me in the i-foresta whatapp group as well, I'm once off the purchases also. Would like to know details on 850 and 1200 sqft. is the project now onhold or abandoned? @JY you went into the constructing site? Developer just say CCC process depends on gov whether fast or slow. U bought? just opposite IKEA! their development very exclusive. Even they get the approvals BUT...where to find the moneys ? @mm Good to know. Thanks much for keeping an eye. Are there any more available units? Ya lo. Faster build. Penang deserves all these and many more. @beby Who would like to start a group? 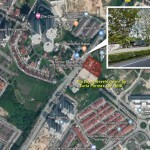 Have any whatsapp or wechat group to join for this property ? 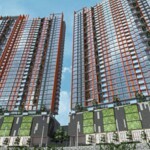 @Owner latest rental @ RM1550 for 411 sq ft unit. @guan Hi, are you a unit owner? What is the current status? is it abandoned estate? May i know what is the exact clear ceiling height ? Is that 10 ft? 10.3 ft or 10.5 ft ? or higher ? You mean affordable? Majorities units are 1cp facing main road, unless you willing to pay 400K++ for Seaview and get 2cp. Look like this project not good response? No further discussion? Is key. Harder to say no to ready investors...but who? But I heard that they are the Penang de facto government, or this is just what they believe they are? Re-rejuvenate ? Did they ask the NGOs for permission first ? I thought PIL1 got interchange at Paya Terubong, Relau, LCE and Bayan Lepas. Should help alleviate the congestion there. Project should start asap. @Reedz Reedz. 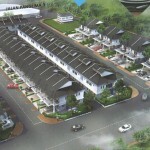 the market price for One Imperial is RM550k and above subject to size and layout. @Xin Jie This development has nothing to do with Tropicana. So far ideal and Uda are good reputation developer for recent years. Webest Land Sdn. Bhd...we are the best sdn bhd 757 ? developer fans of of Boeing Jet?